Written by our own Mrs Hewson and first performed in Mark First School hall over ten years ago, this play has now been published and performed in schools in the UK, Austrailia and New Zealand! Our latest performance was full of life, humour, great singing and plenty to get you in the mood for Christmas! The children have worked very hard and have amazed us all yet again. It was wonderful to have so many adults on board, helping us make our production so professional. 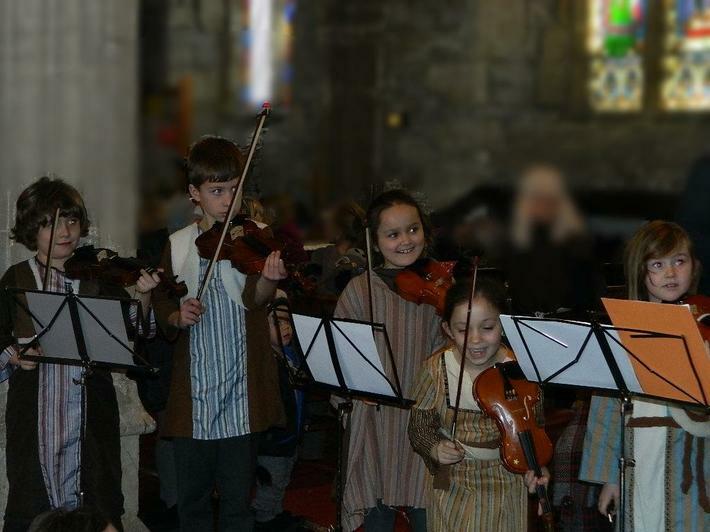 Many thanks to all the parents, staff, Mark Whitrow for the sound, Christine Bull and Alison Hawthorne for preparing our fantastic violinists so well.